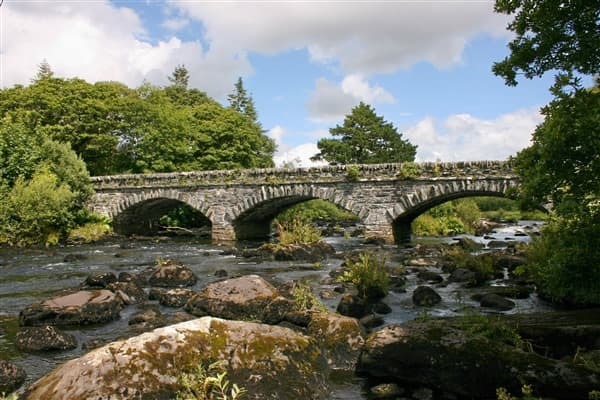 The perfect location for enjoying the tranquillity of the river and spectacular mountain views of Kerry. Our luxury bedrooms are extremely well appointed with attention to detail throughout. Killorglin is rated as the “Golfers’ Heaven”, being a hub of some of the best golf courses in Ireland. River’s Edge is a luxury guesthouse on the banks of the River Laune in Killorglin, Co. Kerry. Located on the Ring of Kerry, this guesthouse is the perfect location for enjoying the peace and tranquillity of the river and spectacular mountain views. We are only minutes’ walk from wonderful gourmet restaurants, not to mention numerous great pubs, both old and new – perfect for that pint of Guinness or an Irish Whiskey in the evening, while enjoying a traditional Irish music and song session right on your doorstep….no driving!! We offer an extensive breakfast menu and a warm and genuine welcome. We are only 20 minutes drive from Kerry Airport and an ideal location from which to discover the famous Ring of Kerry or make the most of the many activities in Kerry, such as walking, cycling, fishing or golfing. River’s Edge Guesthouse, with its guests’ balcony running the width of the house, allows guests to sit and read outside, play cards, sip a glass of wine or drink a coffee, or just simply relax while enjoying the views and watch the salmon jump in the River Laune.